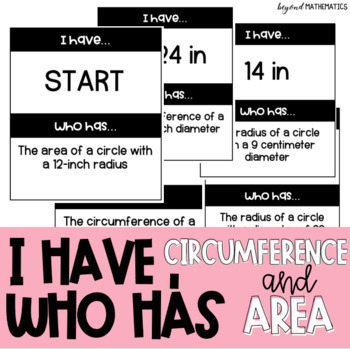 This growing bundle includes multiples types of activities to include in your circles unit! Engage your students with mazes, scavenger hunts, Desmos, and more! 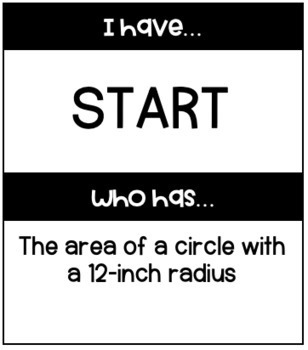 This activity is great for practice while learning the concept and for review. 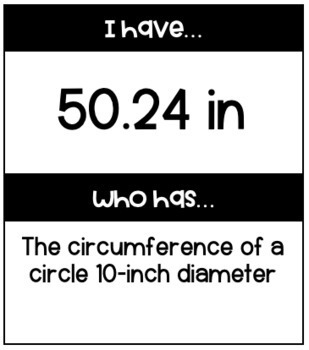 Use as a whole class activity, small group, or stations. 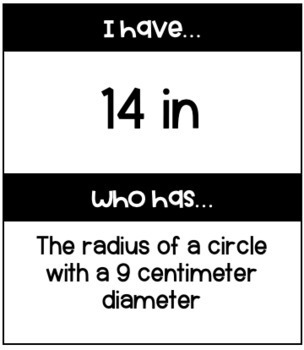 Give each student one card (students may receive more than one if there are fewer than 30 students). Have the student with the ‘start’ card go first. Whoever has the answer to the start card, goes next, and so on until you reach the ‘finish’ card. I like to have students place their cards under a doc cam for the rest of the class to see. When they have the answer card, they go up and place their card under the doc cam.